What do you do with your old electronics? Throw them out? Donate them? Sell them? 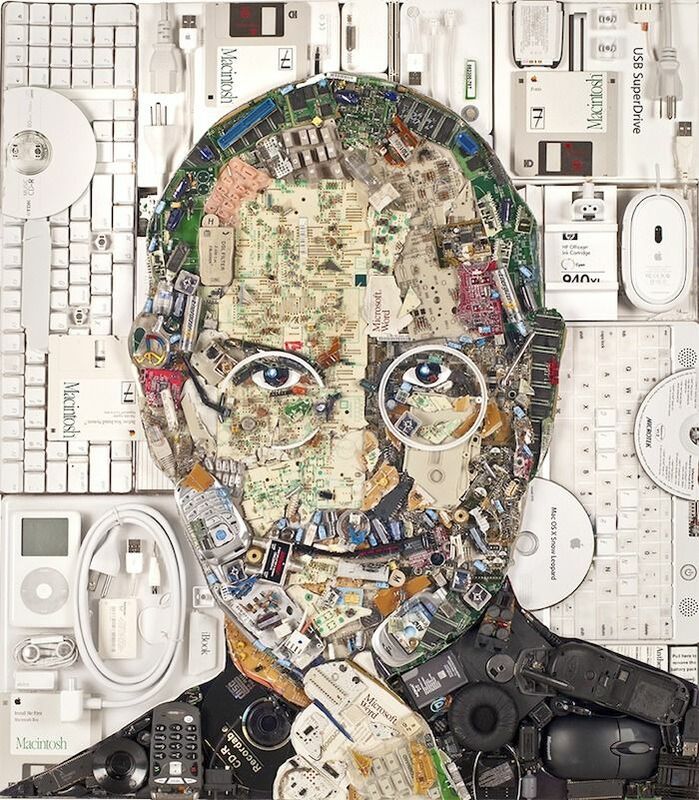 San Francisco artist Jason Mecier does the unexpected: he uses old electronic “junk” to create amazingly textured mosaics. His work is the perfect example of mosaic art in the 21st century: using broken, fragmented pieces of our everyday lives as a form of artistic expression. This entry was posted in Art, Fine Art, Jason Mecier, Mosaics and tagged art, Fine Art, found objects, Isaiah Zagar, Jason Mecier, mosaics, unconvential on March 13, 2015 by Robert DeCarolis.